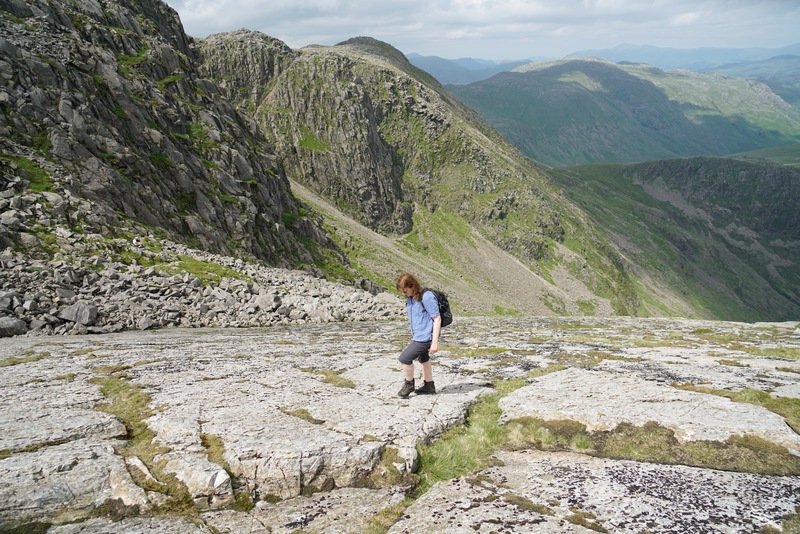 This is looking down Bowfell’s Great Slab and the crag beyond is Bowfell Buttress. The secret hut is somewhere in this photograph. Sorry can’t be more helpful at the moment.